The daughter of uncompromising Ukrainian immigrants, Nadia was raised to respect guts, grit, and tradition. When the events around the seemingly accidental death of her estranged godfather don't add up, Nadia is determined to discover the truth-even if she attracts the attention of dangerous men intent on finding out what she knows through any means possible. In this thrilling prequel to the Nadia Tesla series, Nadia must try to solve the mystery surrounding her godfather's death-and his life. The answers to her questions are buried with the secrets of her youth and in post-World War II refugee camps. What Nadia learns will change her life forever. About Orest Stelmach (Author) : Orest Stelmach is a published author. 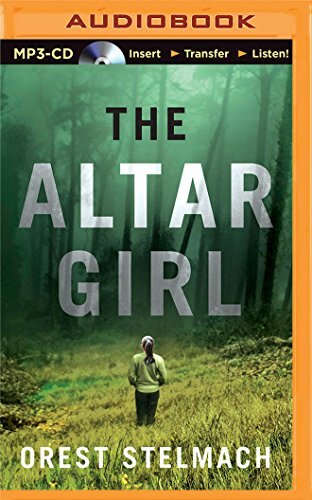 Published credits of Orest Stelmach include The Altar Girl: A Prequel (The Nadia Tesla Series). About Tanya Eby (Reader) : Tanya Eby is credited in . Some of the published credits of Tanya Eby include Seven Up (Stephanie Plum, No. 7). I feel ashamed of those citizens who don’t show respect to their own soldiers and act being too busy always. However, here are some useful tips for writing a good dissertation paper and I would expect every student to follow it thoroughly to get higher grades easily.It’s sad to hear that the precious lives of the soldiers were gone due to the uncertain event. 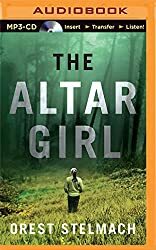 5/12/2018 sarah evans said: The Altar Girl: A Prequel Godaddy Dedicated hosting Server. this is really a good article I hope you will continue your article Even further I hope people like your article and give a good feedback.